(Las Cruces, New Mexico) – The holiday season is right around the corner and what better gift to give friends and family than award-winning, locally produced products? For the fifth consecutive year, the New Mexico Department of Agriculture will be partnering with the New Mexico Farm & Ranch Heritage Museum to co-host HomeGrown – A New Mexico Food Show and Gift Market. HomeGrown will take place on Saturday, Nov. 17 from 9 a.m. to 5 p.m. and Sunday, Nov. 18 from 10 a.m. to 4 p.m. at the New Mexico Farm & Ranch Heritage Museum. Attendees can expect over 70 vendors, the majority representing a variety of food and beverage companies from around the state and all of which are NEW MEXICO—Taste the Tradition® and Grown with Tradition® members. 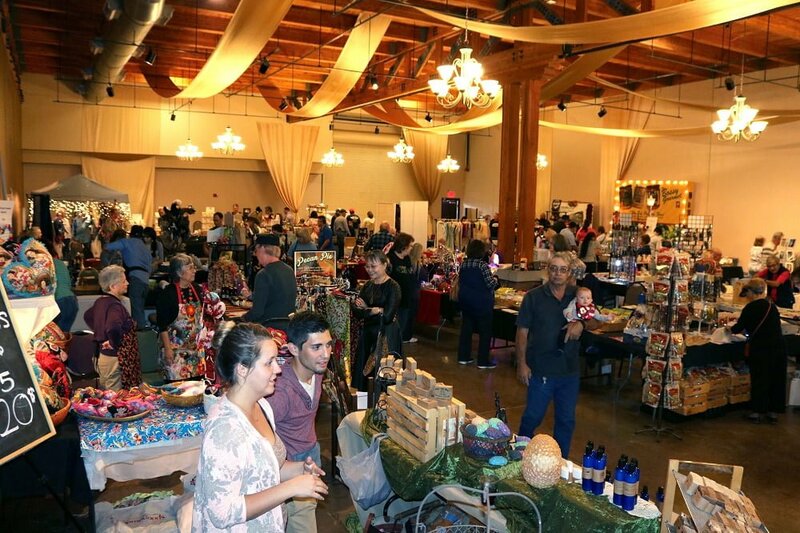 Each booth will offer either locally produced products, such as award-winning salsas and wine for attendees to sample and purchase, or crafts made from agriculture resources. The two-day event will feature the NMDA’s Chef Ambassadors John Hartley and Rocky Durham, who will be demonstrating various recipes using products that will be available for sale by vendors. Both chefs are New Mexico natives who have professional experience in creating dishes from locally made food products. Last year, HomeGrown attracted nearly 3,500 attendees within the two days that the event took place, an increase from the previous year. 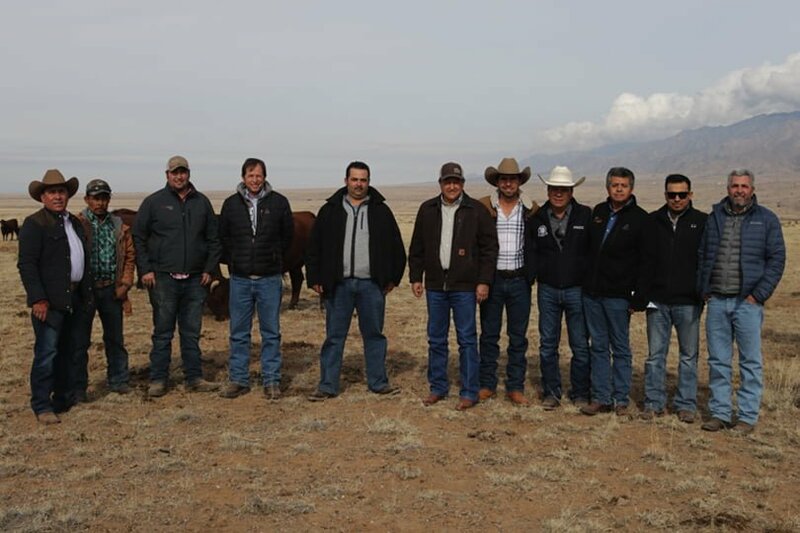 New Mexico Secretary of Agriculture Jeff Witte predicts that the event will continue to grow and gain recognition from locals and surrounding community members. A new feature this year is a photo booth provided by FARMesilla. The New Mexico Department of Agriculture will also host giveaways throughout the two-day event. Admission to HomeGrown is $5 per vehicle, and the first 100 vehicles at the event each day will receive a free burlap shopping bag. For more information about HomeGrown, please visit https://bit.ly/2Szs4e3. For more information about NMDA, visit www.nmda.nmsu.edu. Like us on Facebook www.facebook.com/NMDeptAg and follow us on Twitter and Instagram @NMDeptAg. 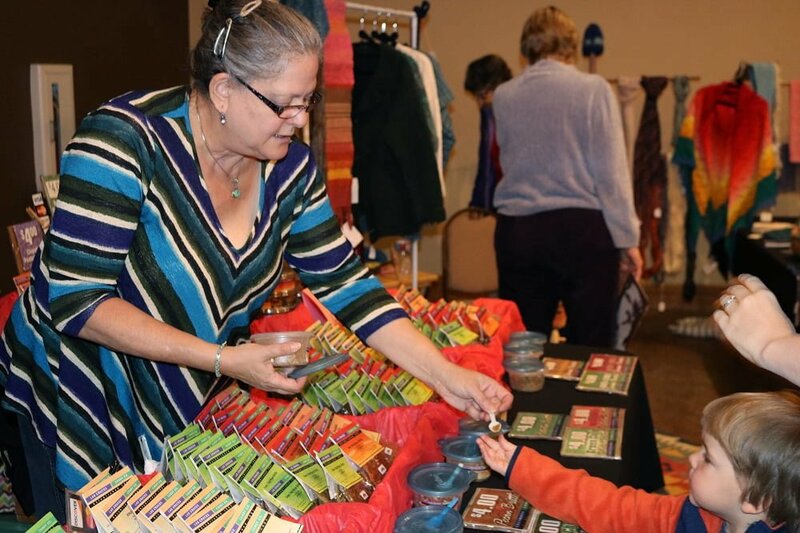 Attendees shop for New Mexico-made products available for sale at HomeGrown – A New Mexico Food Show and Gift Market in 2016. 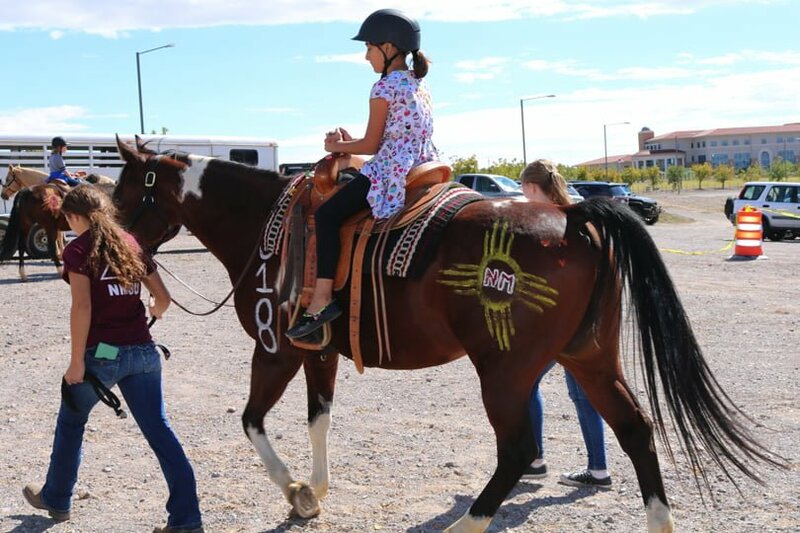 This year, HomeGrown will take place on Saturday, Nov. 17 from 9 a.m. to 5 p.m. and Sunday, Nov. 18 from 10 a.m. to 4 p.m. at the New Mexico Farm & Ranch Heritage Museum. A vendor representing Las Cruces Candy Company hands out food samples to a child at HomeGrown – A New Mexico Food Show and Gift Market in 2016. This year’s event will include over 70 vendors representing a variety of food and beverage companies from around the state, many of which are New Mexico Taste the Tradition and Grown with Tradition members. The National Association of State Departments of Agriculture (NASDA) today elected a new slate of officers for the coming year. New Mexico Secretary of Agriculture Jeff Witte will serve as NASDA’s 2018-19 President. He will host the 2019 NASDA Annual Meeting in Albuquerque, New Mexico on September 8-12. “… 2019 will be full of opportunities to underscore the importance of our work in public service. 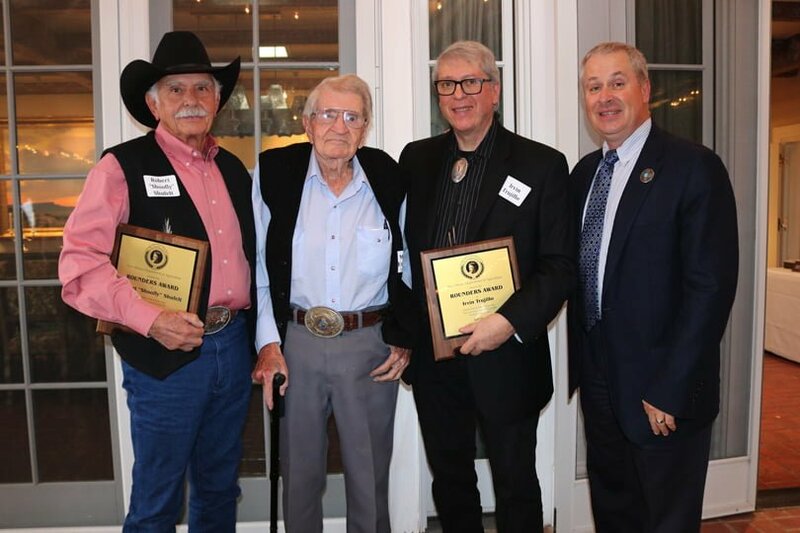 This is for advancing the success of our farmers and ranchers,” said Jeff Witte. “As Congress presses forward on an on-time Farm Bill, NASDA Members will continue to engage the Administration. They move for swift implementation of the new opportunities the Bill will create for producers. NASDA will also be leaning forward to be a more nimble and responsive organization. This is to stay relevant in the ever-changing world of agriculture and food. We cannot stand still.” Jeff is the newly elected President and New Mexico Secretary of Agriculture. Also elected to NASDA’s Board of Directors include North Dakota Commissioner of Agriculture Doug Goehring (Vice President). Other elects were Kentucky Commissioner Ryan Quarles (Second Vice President), and New York Commissioner Richard Ball (Secretary-Treasurer). Connecticut Commissioner of Agriculture Steve Reviczky will serve as NASDA’s Past President. Louisiana Commissioner of Agriculture Michael Strain will serve in the At-Large position. The representatives are Massachusetts Commissioner John Lebeaux, and Texas Commissioner Sid Miller. Other representatives are Hawaii Chairman Scott Enright, and Oklahoma Secretary of Agriculture Jim Reese. They serve as the Northeastern, Southern, Western, and Midwestern representatives respectively. NASDA is a nonpartisan, nonprofit association. They represent the elected and appointed commissioners, secretaries, and directors of the departments of agriculture. NASDA grows and enhances agriculture by forging partnerships and creating consensus. This is to achieve sound policy outcomes between state departments of agriculture, the federal government, and stakeholders. Learn more about NASDA at www.nasda.org. The New Mexico Department of Agriculture has named the Chef Ambassadors. This is for the first-ever NEW MEXICO—Taste the Tradition® (NM-TTT) Chef Ambassador Program. There are two ambassadors. The first is Rocky Durham from Santa Fe. Rocky Durham launched his career in London, England where he opened a restaurant named after his hometown, Santa Fe. Within three years of the first opening, there were Santa Fe restaurants in eight British cities. While living in England, Durham also wrote and presented two television series. The series were Plates from the States and South of the Border. After working professionally in five continents, Durham returned to New Mexico. He is currently an executive chef at the Blue Heron Restaurant at Sunrise Springs Spa Resort in Santa Fe. The second ambassador is John C. Hartley from Las Cruces. John Hartley is currently serving as a college assistant professor in the New Mexico State University. School of Hotel, Restaurant and Tourism Management. There he teaches quantity foods courses and managing the school’s 100 West Cafe. Hartley was born and raised in Las Cruces and graduated from NMSU and the California Culinary Academy. Highlights of his career include cooking for President George H. W. Bush and President Bill Clinton. He also cooked for the Pope of the Armenian Catholic Church and numerous celebrities. The chef ambassadors will serve a two-year term advocating for and promoting New Mexico agriculture. They will work at events such as the New Mexico State Fair and HomeGrown. In doing so, the chefs will receive exposure and recognition while providing a voice for New Mexico agriculture. Their term began Sept. 1 and ends Aug. 30, 2020. Durham expressed his excitement in promoting unique New Mexico agricultural products and influencing positive financial growth in the agricultural sector. Hartley said he is honored to be selected as a chef ambassador for the state of New Mexico. “I look forward to working with Chef Rocky and the NMDA staff to promote the incredible agricultural products. …and encouraging our youth to become involved with the industry,” said Hartley. As their first event, the newly-named chef ambassadors participated as judges. They judged the New Mexico State Fair Green Chile Cheeseburger Challenge Monday, Sept. 10 in Albuquerque. For more information about the NEW MEXICO—Taste the Tradition® Chef Ambassador Program, visit newmexicotradition.com. Like us on Facebook www.facebook.com/NMDeptAg and follow us on Twitter and Instagram @NMDeptAg. Albuquerque, New Mexico – Do you have what it takes to judge the best salsas in New Mexico? All salsa and food lovers are invited to participate in this year’s Battle of the Salsas. This will take place at the New Mexico State Fair. NMDA will host the Battle of the Salsas from 1 to 3 p.m. during the state fair Saturday, Sept. 8. The event will take place in the courtyard of the Agriculture Building located on the fairgrounds. All New-Mexico-made, commercially produced and shelf-stable salsas are eligible for entry. The salsas must also be already available for sale at the New Mexico Country Store . Fairgoers have the chance to select their favorite salsa from over 30 samples of New Mexico’s best. Participants will be given a bag of New Mexico-made tortilla chips and a ballot to vote. After the votes are counted, the top three crowd favorites will be selected and announced. New Mexico Secretary of Agriculture Jeff Witte encourages everyone to attend the Battle of the Salsas. Put your taste buds to the test, and see how their picks compared with the overall voting results. For more information about the New Mexico State Fair, visit statefair.exponm.com. For more information about the NEW MEXICO – Taste the Tradition program, visit www.newmexicotradition.com. With plenty of brews and wines, there won’t be a shortage of flavor at the New Mexico State Fair. It will be the event’s 80th anniversary. For the fourth year, the New Mexico Department of Agriculture is hosting Reds, Whites and Brews Happy Hours. This is during the state fair, which is Thursday, Sept. 6 through Sunday, Sept. 16. Happy hours will be offered in the courtyard of the Agriculture Building. This is located west of the Manuel Lujan Commercial Building from 3 to 8 p.m. Various New Mexico brews and wines will be available for purchase. The New Mexico State Fair and NMDA teamed up with the New Mexico Brewers Guild and New Mexico Wine. NMDA, “The Frontier of Beer” and “Viva Vino” New Mexico Wine will host the happy hours. Anyone may attend the happy hours. New Mexico-made, non-alcoholic beverages will also be available for purchase in the country store. Reds, Whites and Brews Happy Hours will also feature beef samples provided by the New Mexico Beef Council. NMDA will also host the Battle of the Salsas Saturday, Sept. 8. They will collaborate with Expo New Mexico on the New Mexico Green Chile Cheeseburger Challenge Monday, Sept. 10. The Country Store will once again be open from 10 a.m. to 9 p.m. through the fair’s duration. It will offer various New Mexico products for purchase. Visit www.newmexicotradition.com to learn more about how NMDA supports the New Mexico agriculture industry. This is through its NEW MEXICO – Taste the Tradition program. Find us on social media using @tastenewmexico. For more information about the fair, visit www.statefair.exponm.com.